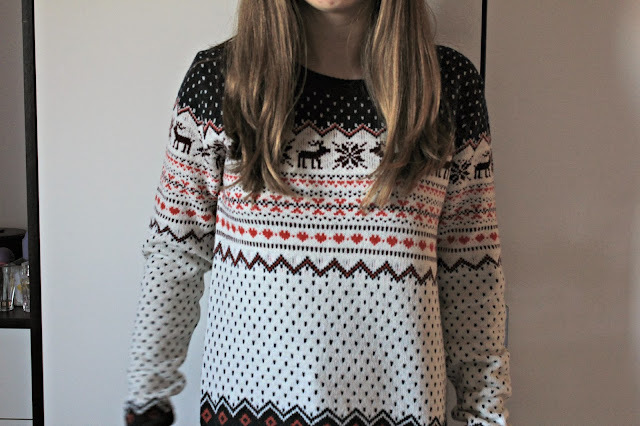 As cliché as it is, I had to do a post on this years pick of the Primark Christmas Jumpers. This isn't a full on 'reindeer with a flashing nose and 3D antlers' offering, instead this is much more subtle, and I would class it more of a winter jumper, than just for a few weeks of festiveness. And I tell you what, I blimmin' love this. This one was £14, so not bad for a high-street option, opposed to the likes of Topshop, H&M etc. etc. I must admit, this was a little itchy on the inside the first time I wore it, but I got used to it in under half an hour, and wasn't anything unbearable anyway. There's something about the pattern that I find really classic about the design, but I'm not sure what. 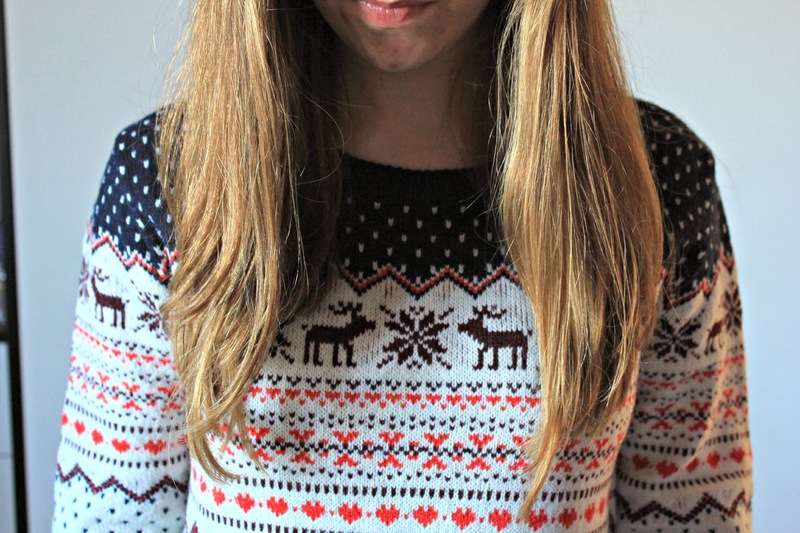 This was definitely the best jumper I have seen in Primark personally, and at school the other day we wore Christmas Jumpers for charity, and a lot of people were matching me! This is so adorable! I always hear UK bloggers talking about Primark! It sounds amazing lol. 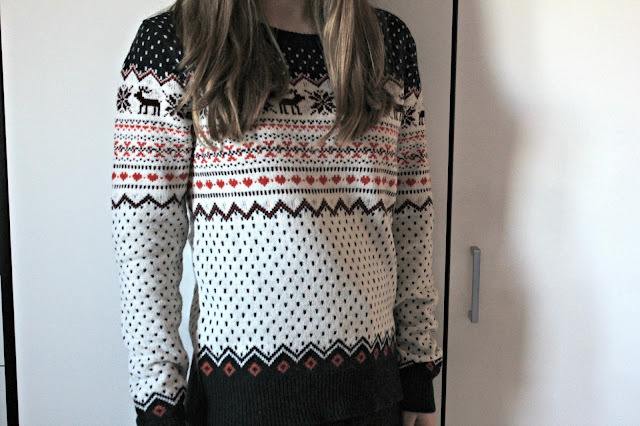 I've never actually had a Christmas jumper but this one is nice!